Bird Watching DVD/CD are wild bird video and audio will let you see and hear the songbirds at the same time. 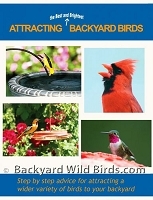 Learn to instantly identify backyard wild birds. Our Birders Audio Guide's will help you identify the calls and songs of 35 different common birds seen everyday in our backyards. 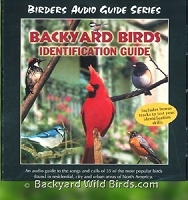 Backyard Birds Identification Guide CD. Our Birders Audio Guide will help you identify the calls and songs of 35 different common birds seen everyday in our backyards. 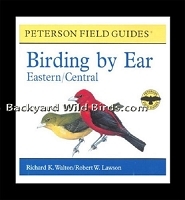 Birding by Ear Eastern/Central CD for learning the songs and calls of eighty-five species of birds found east of the Rockies. This is a Birds, Birds, Birds DVD Video guide of 200 species from the Midwest and Eastern States. Learn how to recognize the birds and bird songs of all kinds of Songbirds.